Is InvenSense Inc (NYSE:INVN) ready to raly soon? The smart money is becoming less hopeful. The number of long hedge fund positions fell by 5 lately. To most stock holders, hedge funds are assumed to be unimportant, outdated financial vehicles of yesteryear. While there are over 8000 funds with their doors open at present, we choose to focus on the masters of this group, around 450 funds. It is widely believed that this group has its hands on the majority of the hedge fund industry’s total capital, and by keeping an eye on their best picks, we have revealed a number of investment strategies that have historically outperformed the S&P 500 index. Our small-cap hedge fund strategy outpaced the S&P 500 index by 18 percentage points per annum for a decade in our back tests, and since we’ve began to sharing our picks with our subscribers at the end of August 2012, we have topped the S&P 500 index by 24 percentage points in 7 months (check out a sample of our picks). Just as beneficial, bullish insider trading activity is a second way to break down the world of equities. Just as you’d expect, there are many stimuli for an executive to get rid of shares of his or her company, but just one, very clear reason why they would buy. Several empirical studies have demonstrated the impressive potential of this strategy if you understand what to do (learn more here). 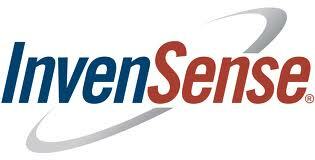 With all of this in mind, it’s important to take a look at the latest action encompassing InvenSense Inc (NYSE:INVN). What have hedge funds been doing with InvenSense Inc (NYSE:INVN)? Heading into 2013, a total of 11 of the hedge funds we track were bullish in this stock, a change of -31% from the third quarter. With the smart money’s capital changing hands, there exists a few key hedge fund managers who were increasing their holdings considerably. When looking at the hedgies we track, Citadel Investment Group, managed by Ken Griffin, holds the biggest position in InvenSense Inc (NYSE:INVN). Citadel Investment Group has a $11.7 million position in the stock, comprising less than 0.1%% of its 13F portfolio. On Citadel Investment Group’s heels is Crosslink Capital, managed by Seymour Sy Kaufman and Michael Stark, which held a $9 million position; the fund has 1% of its 13F portfolio invested in the stock. Other hedgies with similar optimism include Steven Cohen’s SAC Capital Advisors, SAC Subsidiary’s CR Intrinsic Investors and Mark Kingdon’s Kingdon Capital. Since InvenSense Inc (NYSE:INVN) has faced bearish sentiment from hedge fund managers, we can see that there is a sect of money managers who were dropping their entire stakes at the end of the year. It’s worth mentioning that Eric Bannasch’s Cadian Capital cut the largest position of all the hedgies we key on, worth about $14.2 million in stock., and Stanley Shopkorn and Douglas Day of Hilltop Park Associates was right behind this move, as the fund said goodbye to about $3.1 million worth. These moves are intriguing to say the least, as total hedge fund interest was cut by 5 funds at the end of the year. What do corporate executives and insiders think about InvenSense Inc (NYSE:INVN)? Insider purchases made by high-level executives is particularly usable when the company in focus has seen transactions within the past half-year. Over the latest 180-day time frame, InvenSense Inc (NYSE:INVN) has experienced zero unique insiders buying, and 6 insider sales (see the details of insider trades here). Let’s also review hedge fund and insider activity in other stocks similar to InvenSense Inc (NYSE:INVN). These stocks are QLogic Corporation (NASDAQ:QLGC), MEMC Electronic Materials, Inc. (NYSE:WFR), Cabot Microelectronics Corporation (NASDAQ:CCMP), TriQuint Semiconductor (NASDAQ:TQNT), and Diodes Incorporated (NASDAQ:DIOD). This group of stocks belong to the semiconductor – integrated circuits industry and their market caps resemble INVN’s market cap.